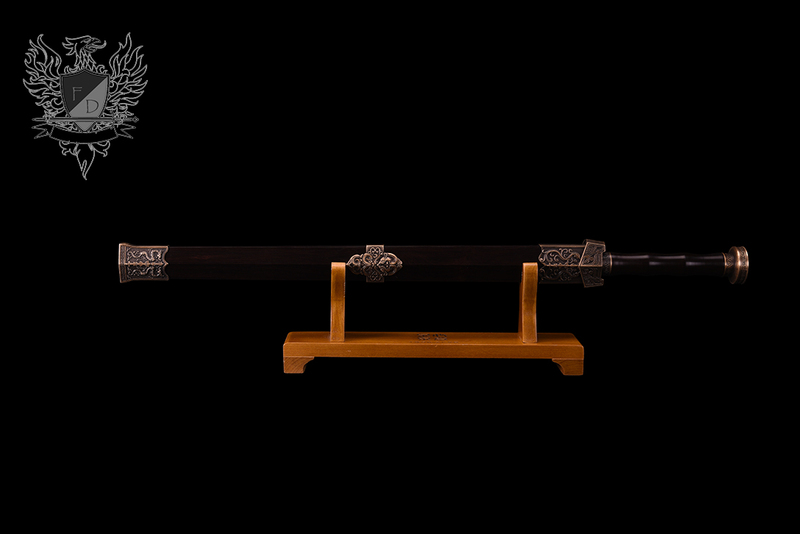 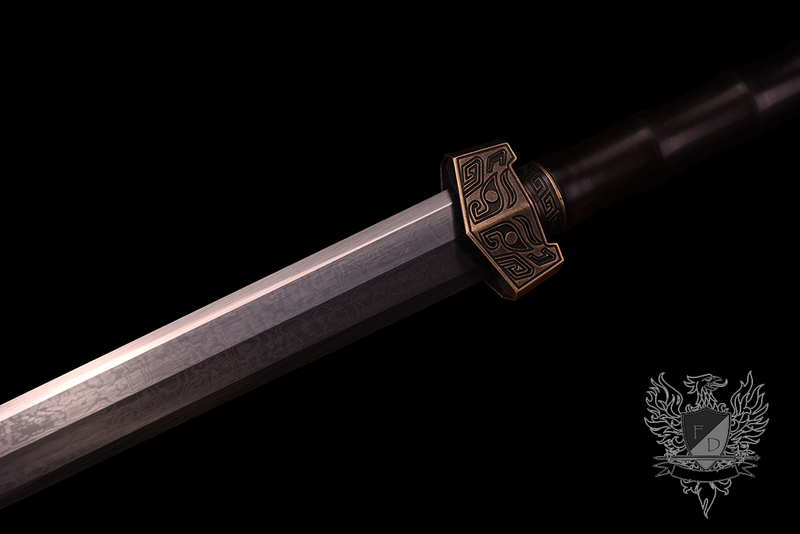 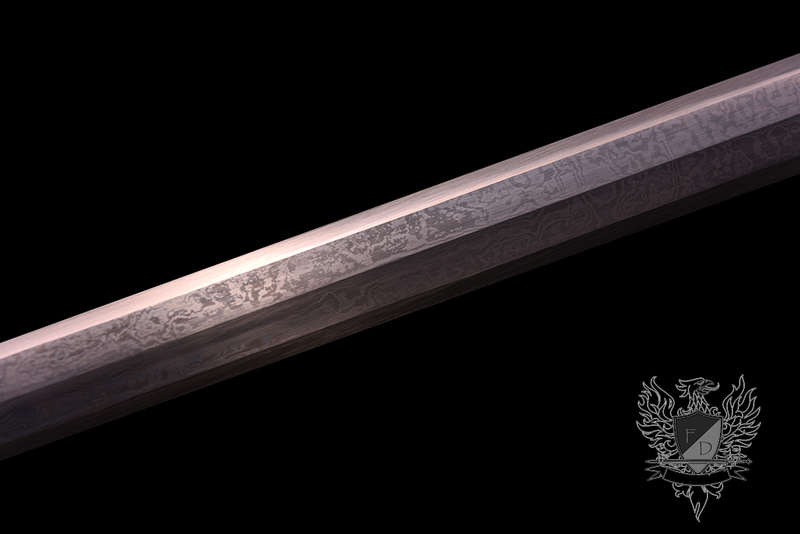 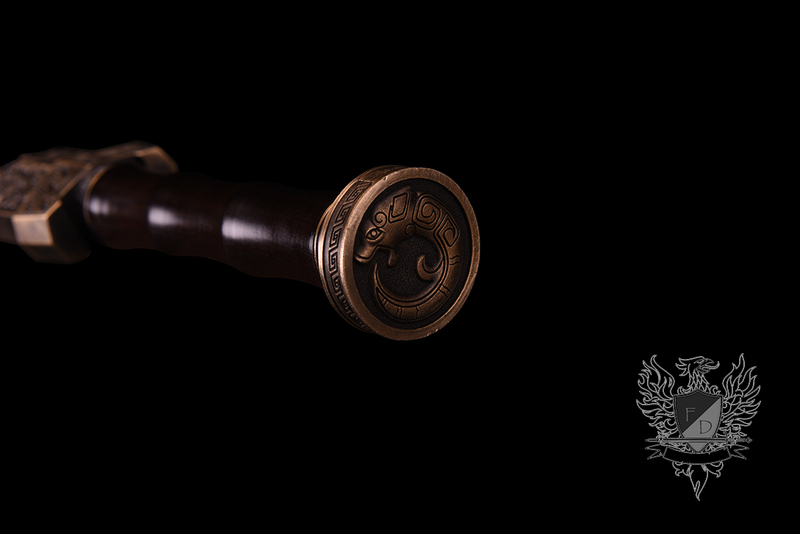 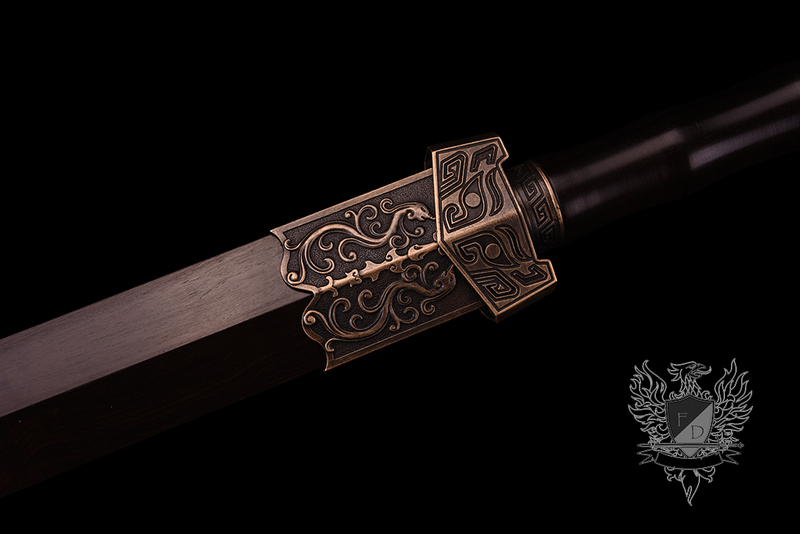 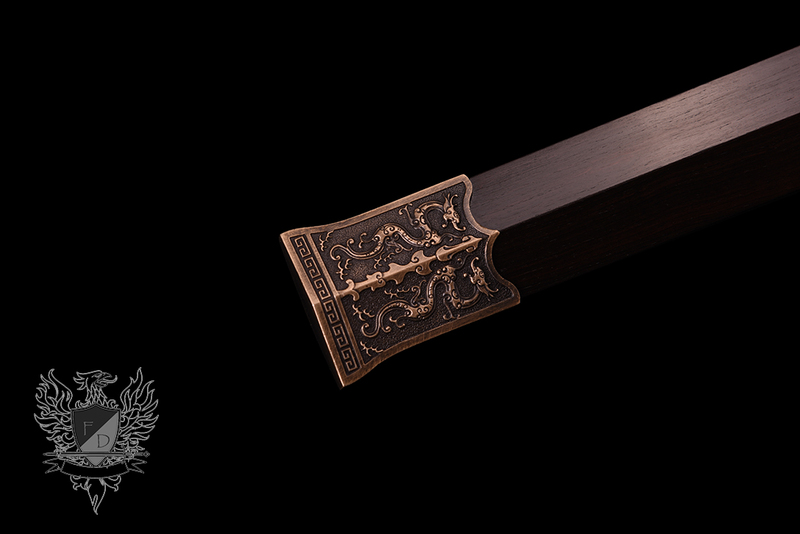 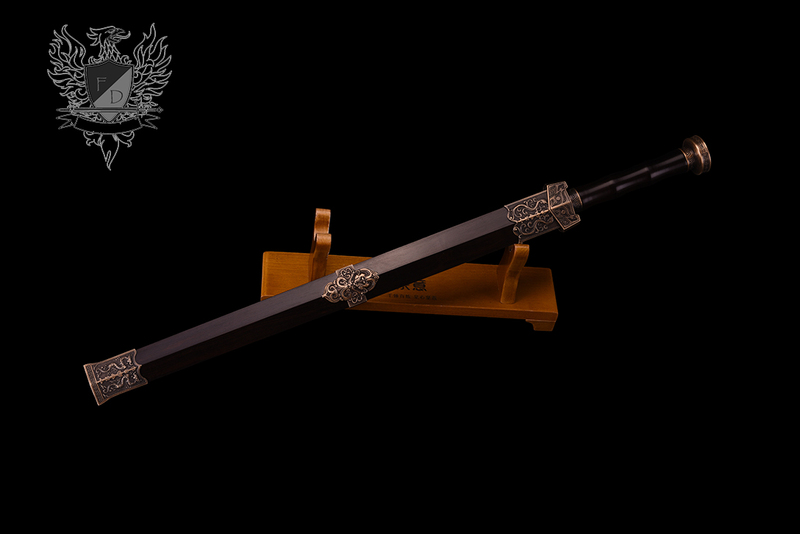 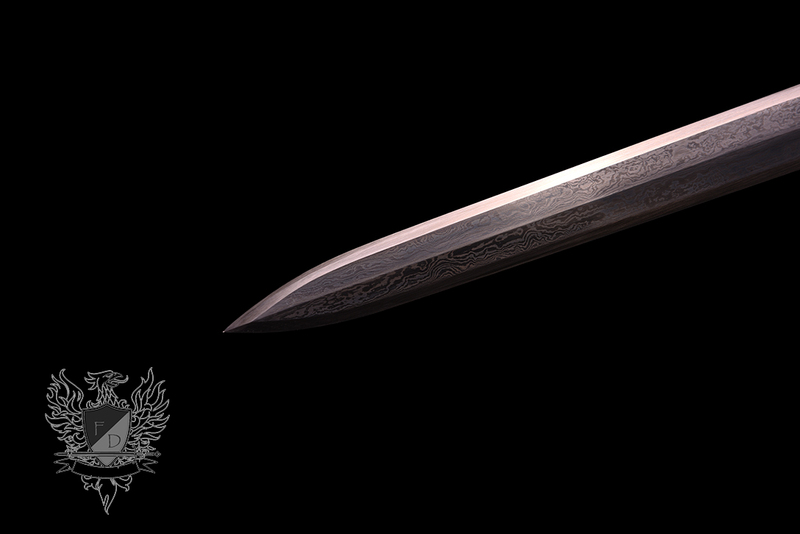 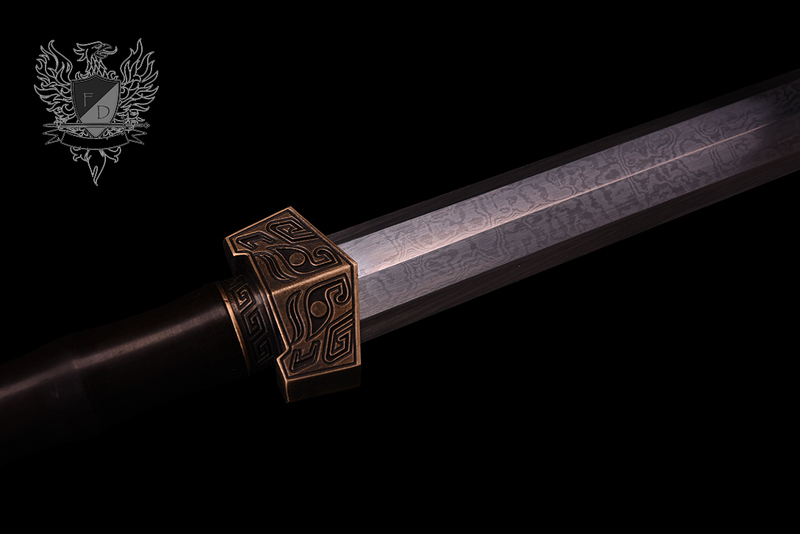 This is one of the best quality, eminently functional replicas of a Han Dynasty Sword ever offered. 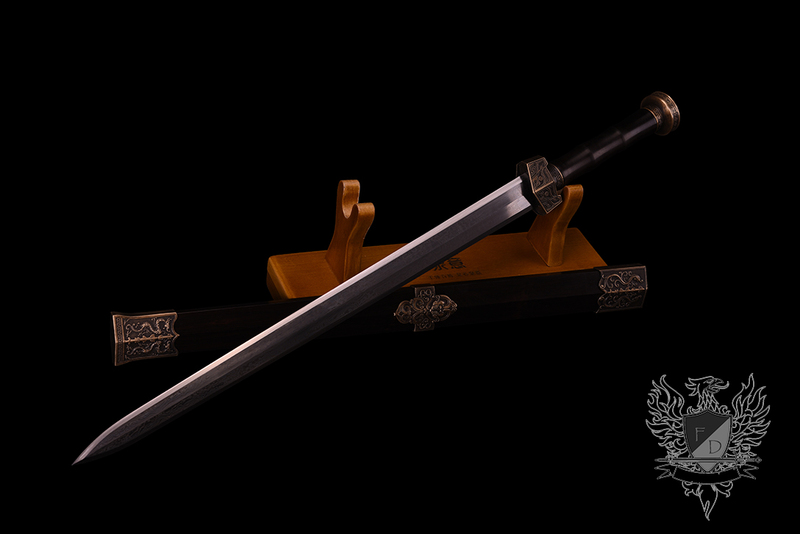 With a shorter 21" master smith folded 1095 carbon steel blade, yet weighing a respectable 2.42lbs, this historically accurate replica is fast yet packs a serious punch. 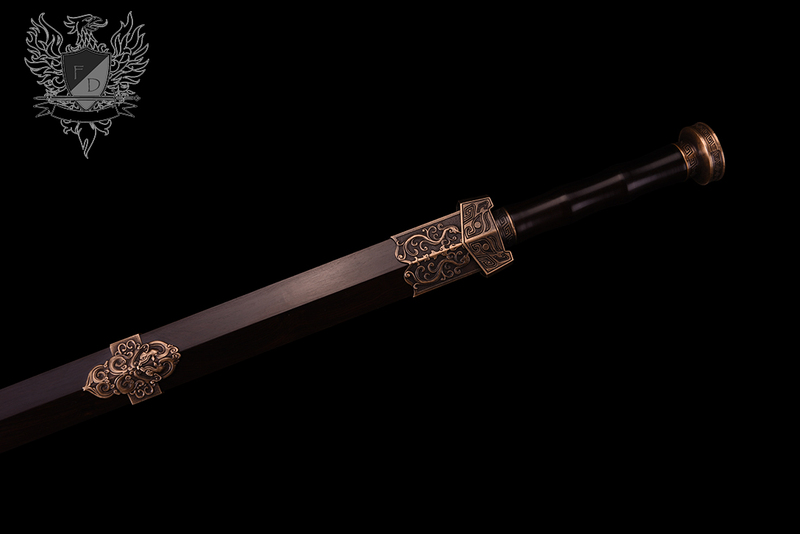 Fittings are themed in a traditional imperial Chinese motif, cast from brass over black ebony wood. 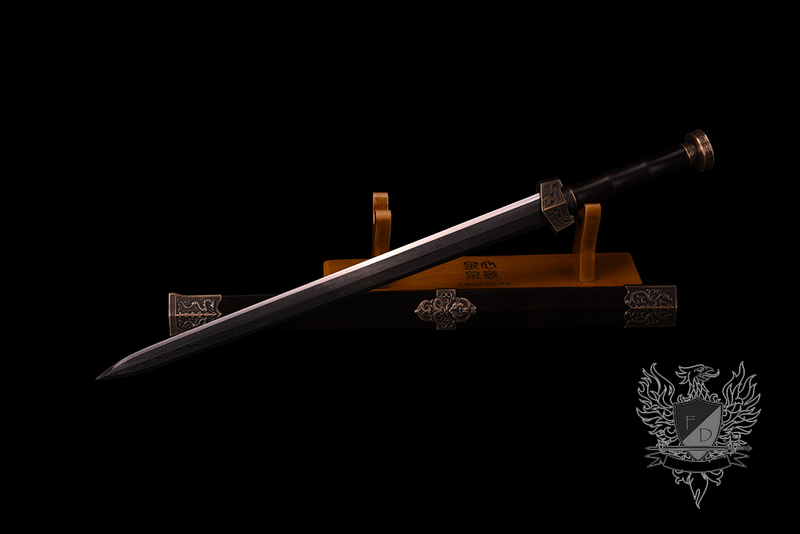 Mastersmith Forged, Folded and Sharpened 1095 Carbon Steel blade with art finish polish. 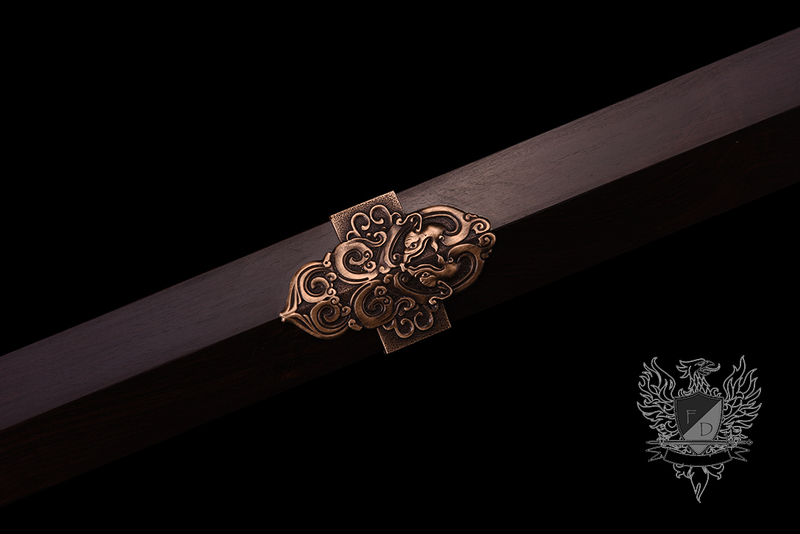 Premium black ebony and hand finished, sculpted brass fittings.